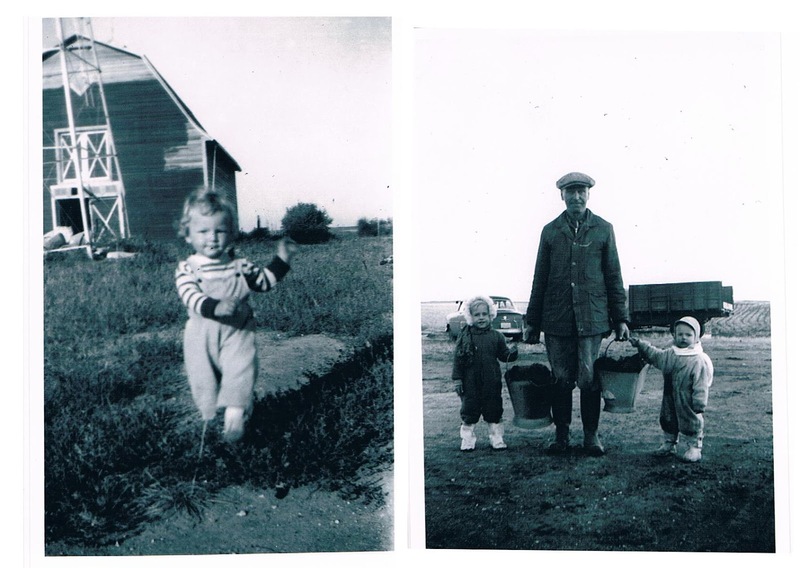 The last time I was on the farm during the Easter break my Dad pulled out an old family photo album from his childhood and from years even before that. I love this old album because it's a beautiful collection of my Dad's father's side (Laverdiere) and his mother's side (Perrons). 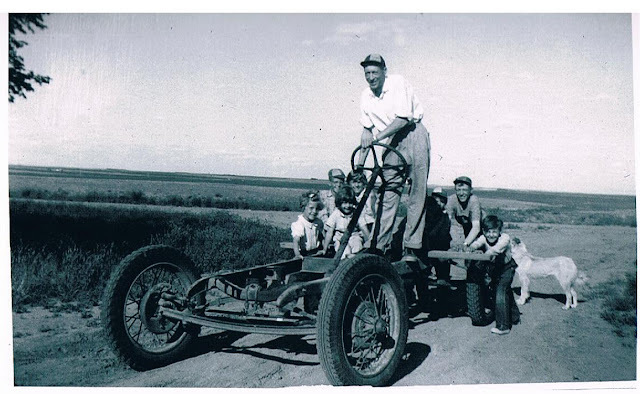 Where I grew up in a southern part of Saskatchewan there were groups of French communities. This happened because when folks pioneered out west they settled in areas where family was closest and with people who spoke their language. As a child I grew up fascinated with my home and area. I loved the history of the farm, often a hub for Laverdiere and Perrons get togethers, the lake near by, the now abandoned village only miles away from my farm, abandoned houses and all other French related history in Saskatchewan. Just before we returned home that weekend in Saskatchewan I was able to scan a few of these photos for my own collection. I thought I'd share with you guys a few of my favorites. There many faces I can identify with family looks but sadly I don't know who's who in these photos. So if any family members read this and can give me names to faces that would be awesome. Plus if I say something wrong just tell me so I can fix it. 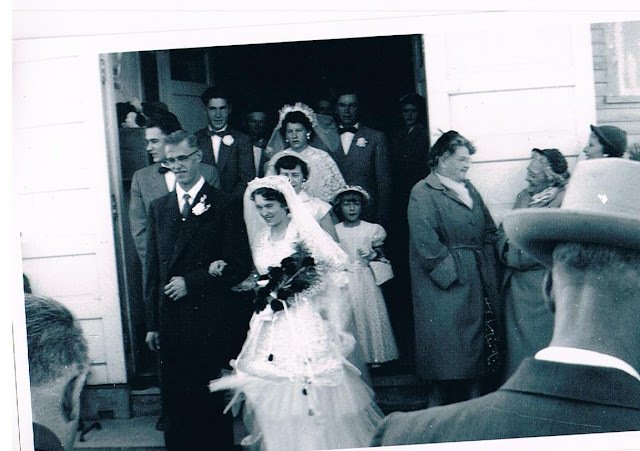 My Grandpa and my Grandma both grew up in large families. 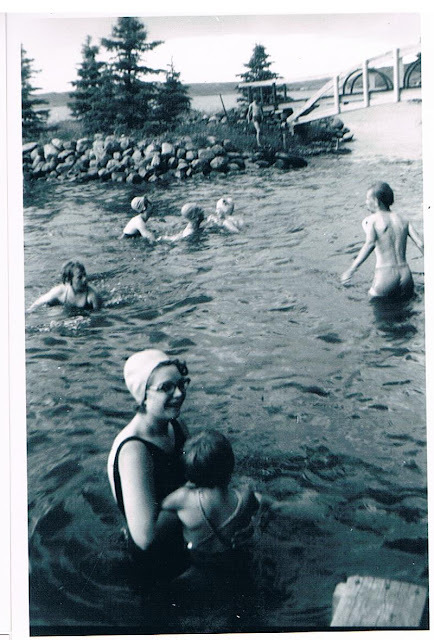 As kids we ended up bonding more with my Grandma's side (Perron) than we did with my Grandfather's side (Laverdiere), that is in terms of great uncles and great aunts. Mind you there's my mom's side too but that's a whole different family history right there. We'll save that for another time. Anyways here's the Perron side (Left) and the Laverdiere (Right) side. 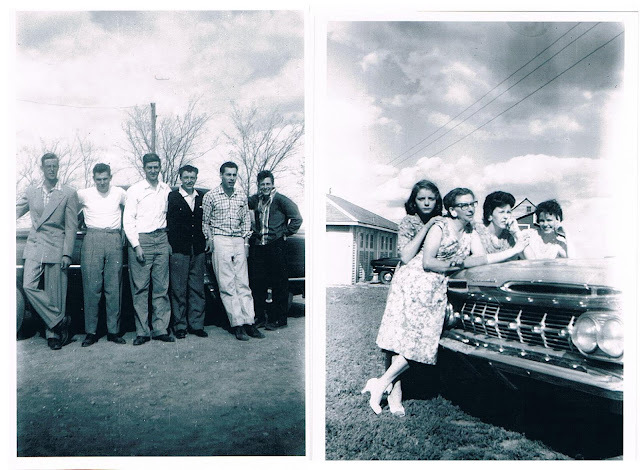 I believe my grandma can be seen in the left photo, back row, third from the left. I could be way off on this but I think my grandfather is the man in the right photo, bottom right corner sitting on the ground. Beautiful photos of my late grandma as a baby and on her wedding day. She was the first born so of course got baby photos taken. 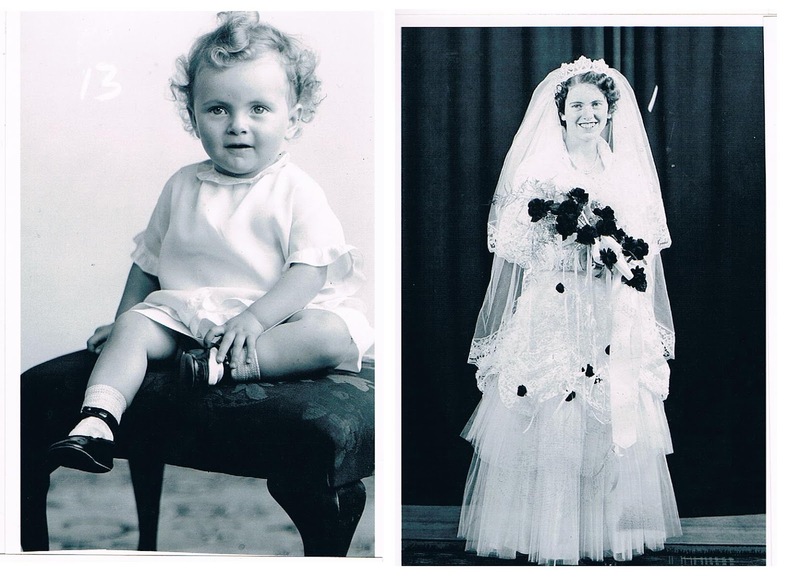 I quite love these photos of Dad. He was the second born. Such a cute kid! 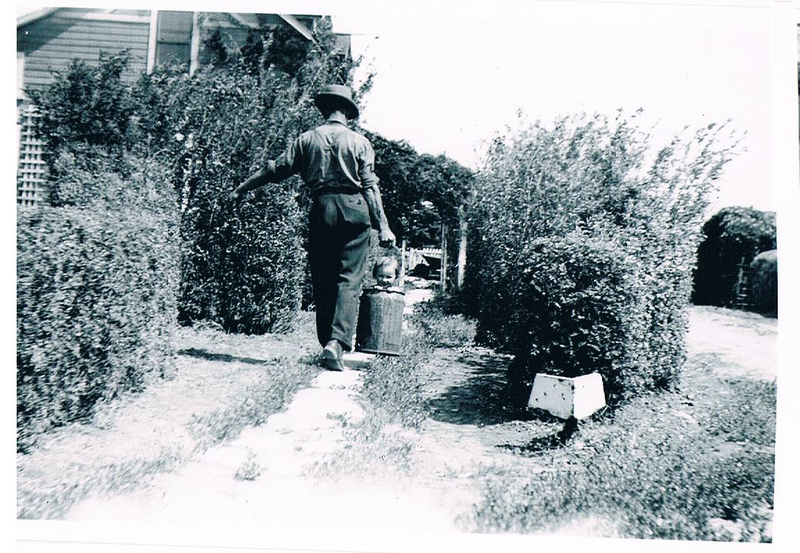 The other photo is funny as it's Dad and I believe my Uncle Robert helping someone who I doesn't look my Grandpa pick up dried cow dung. It was still needed at that time to help start fires and keep a home warm. Grandpa and Grandma had six children in total but for some reason I didn't scan any family ones of all of them as children. Silly me. Here's another cute shot of Dad and Uncle Robert. Here's two charming photos I also fell in love with. The one is a group of men from the Laverdiere side (I think). Such strapping fellows. And then there's a few of the girls from the Perron side. Finally here are just two more photos I enjoy! I love having these few photos for myself. I hope to collect more from my mom's side and then of course gather some form Jonathan's side so our kids will have a big old family album. LOVE THIS!!!! 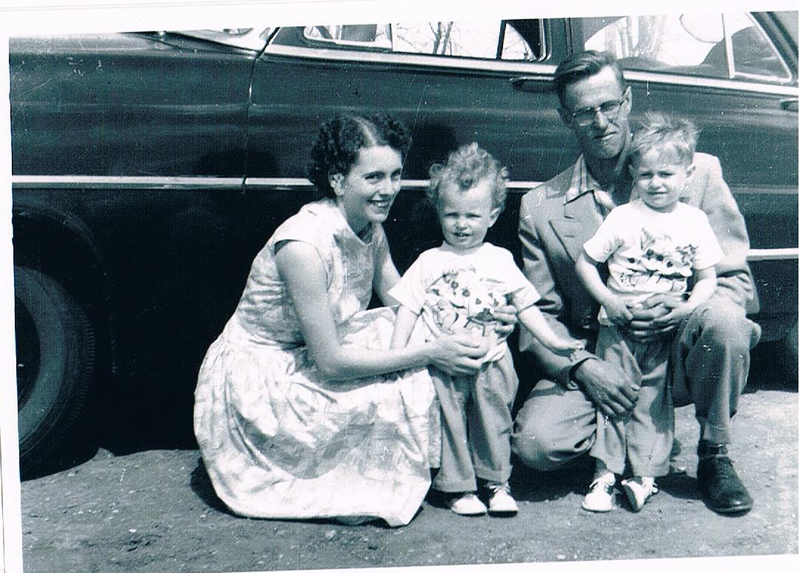 I just love old family photo's - makes me realize how important it is for us to not only capture our lives now but PRINT the photo's too for our future generations! i love these photos! aren't you so glad you have these keepsakes? love these! My grandmother often finds and gives me old photos of the family and I treasure each and every one! My grandmother's maiden name was Perrin close but not quite lol ;) lovely french name Perron is though! these are really wonderful, really really beautiful, what a great idea to share these! Okay, stop. These photos are just too awesome. That kid in the bucket... priceless. Seriously. I'm glad you got to save these! I come from Brittany, France and we have a lot of "Perrons" here. Love the picture!